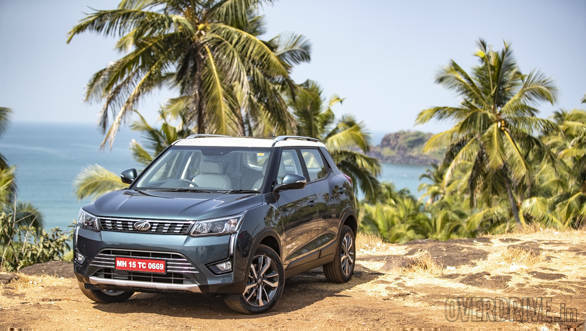 The 2019 Mahindra XUV300 is the newest entrant in the sub-compact SUV segment, led by the Maruti Suzuki Vitara Brezza, followed by the Tata Nexon and then the Ford Ecosport. The company has already unveiled the variants of the 2019 Mahindra XUV300 and the feature list gives it an edge over its rivals. To make the breaking down process easy, only the top trim of the diesel trim of the mentioned compact SUVs shall be considered. The XUV300 borrows its engine and transmission from the recently launched Mahindra Marazzo, that said, it also makes the highest power and torque figures in the segment at 115PS and 300Nm. 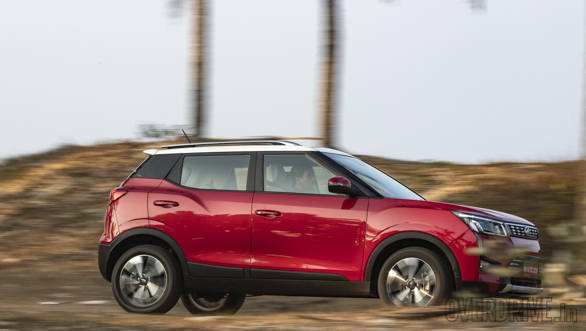 The 2019 Mahindra XUV300 is also offered with a six-speed manual transmission which is at par with the Tata Nexon, however, the XUV300 misses out on an automatic transmission. The Maruti Suzuki Vitara Brezza gets a 1.3-litre diesel engine mated to a five-speed manual gearbox producing 90PS and 200Nm of torque, however, it is offered with an automatic variant. 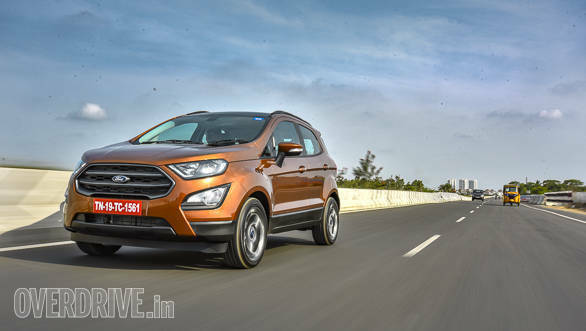 Although the Ford Ecosport gets a 1.5-litre diesel engine which does not disappoint with its specs, however, the Ecosport does not get an automatic gearbox in the diesel variant so far. All the compact SUVs here are shade under four-metres in length. The XUV300 is wider than the Tata Nexon by 10mm at 1,821mm. The XUV300 also has the longest wheelbase. The Ford Ecosport here has the longest turning radius at 5,300mm (5.3m) whereas the other two, the Vitara Brezza and the Nexon are at par with each other at 5,200mm (5.2m). The Ford Ecosport leads the way in terms of ground clearance at 210mm, followed by the Tata Nexon at 209mm and then the Maruti Suzuki Vitara Brezza offering 198mm. The Mahindra XUV300 offers the least ground clearance at 181mm. The XUV300 will be offered with dual-zone climate control, heated mirrors and front parking sensors which are first in segment features. Also, the subcompact SUV gets daytime running lights (DRL), projector headlamps, and fog lamps which are common features across the segment. The XUV300 and the Ford Ecosport are offered with a sunroof while the Tata Nexon and the Vitara Brezza miss out on this premium feature. The Tata Nexon gets an eight-speaker setup for the infotainment system while the others offer a six-speaker layout. The XUV300 and the Ford Ecosport are equipped with 17-inch alloy wheels while the other two are offered with 16-inch alloys. All the sub-compact SUVs are equipped with an ABS (Anti-lock braking system) and EBD (Electronic brake distribution) as standard. The Tata Nexon triumphs by scoring a five-star rating in the Global NCAP whereas it is only offered with front dual airbags. 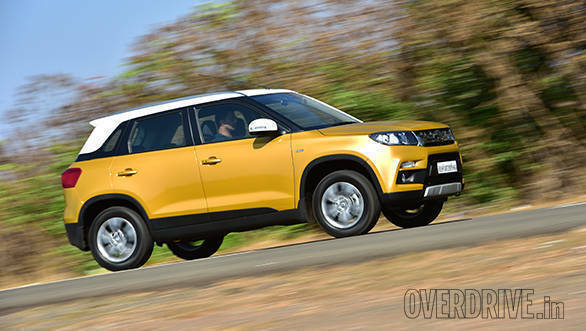 Maruti Suzuki offers the same, front dual airbag setup with their Vitara Brezza. The Ford upped their safety game with Ecosport by offering six airbags. The XUV300 is equipped with dual front airbags, also, knee and side airbags. The XUV300 has a disc brake setup for all four wheels, while the others have a disc brake setup in the front and drum brakes at the back. The most dearer compact SUV in the segment is the Ford Ecosport Titanium+ which has a sticker price of Rs 11.04 lakh. 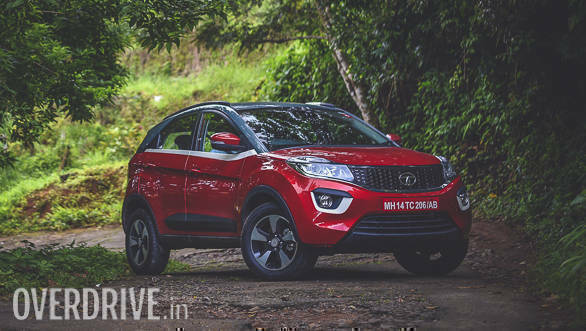 Following the Ecosport is the Tata Nexon which retails at Rs 10.10 lakh. The Brezza is the most economical compact SUV which is priced at Rs 10.07 lakh. 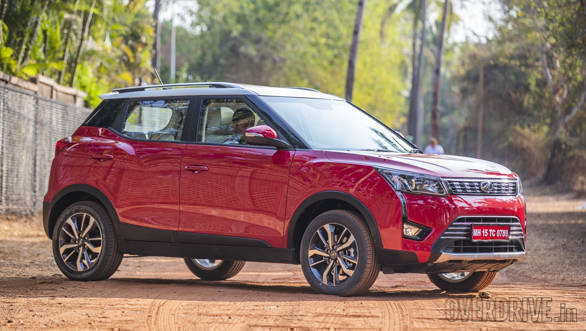 The prices for the 2019 Mahindra XUV300 will be announced at the launch on February 14. Loaded with first-in-class features, the XUV300 could be priced Rs 30,000 to Rs 50,000 above the Tata Nexon.